Dainty, handcut glass adds great depth and reflection to the Japanese chiyogami (old-paper). 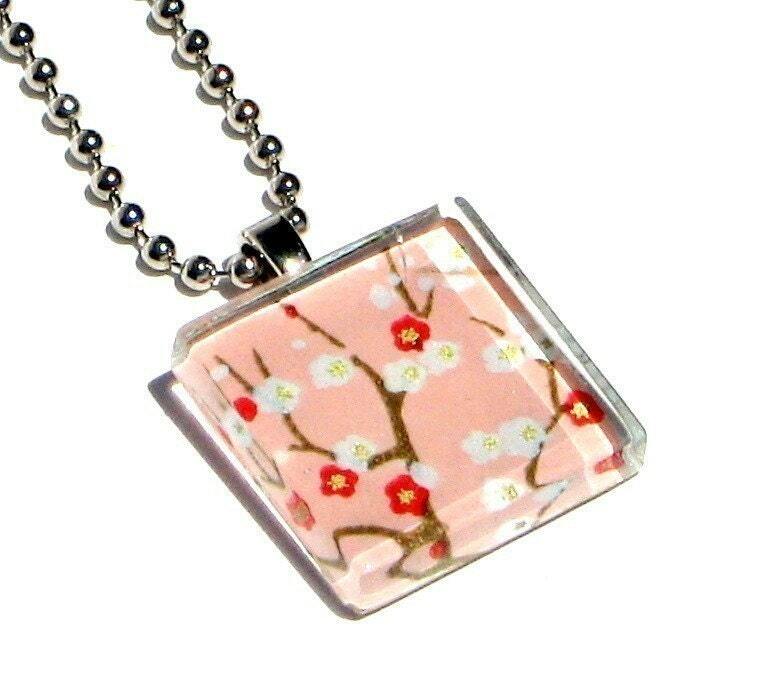 This petite pendant features baby red and white cherry blossom branches against a coral-pink background. It makes for a wonderful bridesmaid or flower girl gift. ALSO AVAILABLE IN MY SHOP: 16" AND 18" CABLE CHOKERS! PICK YOUR COLOR AND ADD TO YOUR ORDER TO EASILY CHANGE THE LOOK OF YOUR GAMI PENDANTS & THEY SHIP FOR FREE! !